This month, I’m painting every day and posting many of the results here. I’m nearing the end, but it’s been a lot of fun. 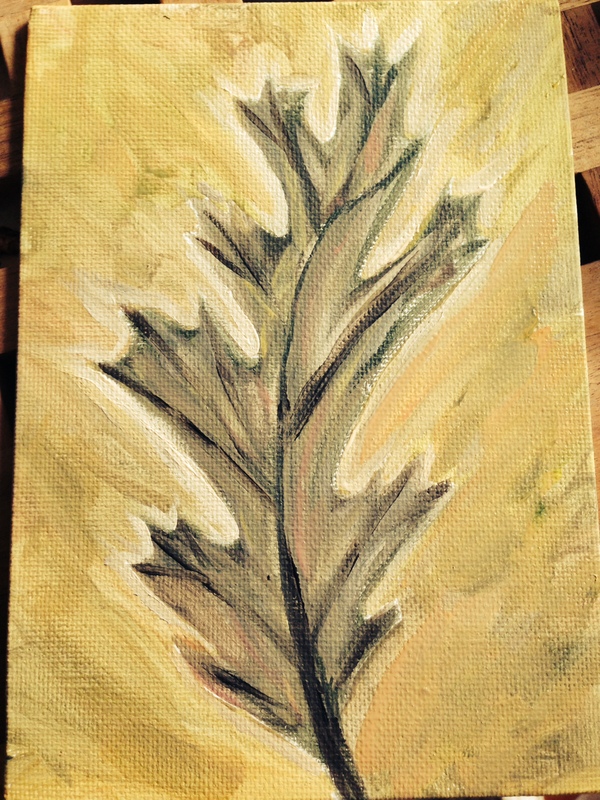 For today, I wanted to keep the autumn theme going (it is truly the most wonderful of all seasons) with an acrylic sketch of a single oak leaf. Just a few more days to go, and then it’s back to longform posts!